Spinal decompression is a surgical procedure performed to relieve pain and associated symptoms caused by pressure or compression on the spinal cord and/or nerves. Some of those symptoms includ pain, numbness, weakness and tingling. 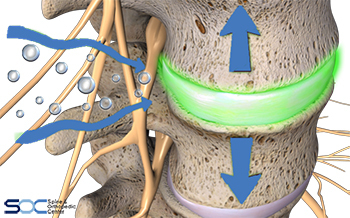 Spinal nerve decompression can be performed through advanced techniques such as minimally invasive spine surgery. The recovery time depends upon the treatment plan of the individuals. Usually, spinal decompression procedure is performed on an outpatient basis. Patients have to follow different rehabilitation protocols based on their condition and the type of activity they want to participate in after surgery. Please consult your physician for complete medical information regarding spinal decompression procedure by calling at 888-409-8006. At Spine & Orthopedic Center, we offer 4 convenient locations throughout Broward and Palm Beach county.